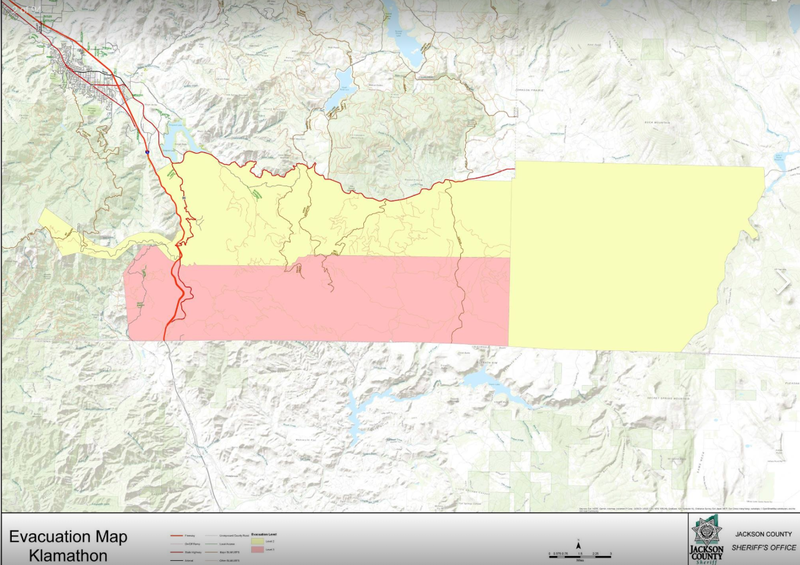 The fire has consumed 35,000+ acres with 30% containment. 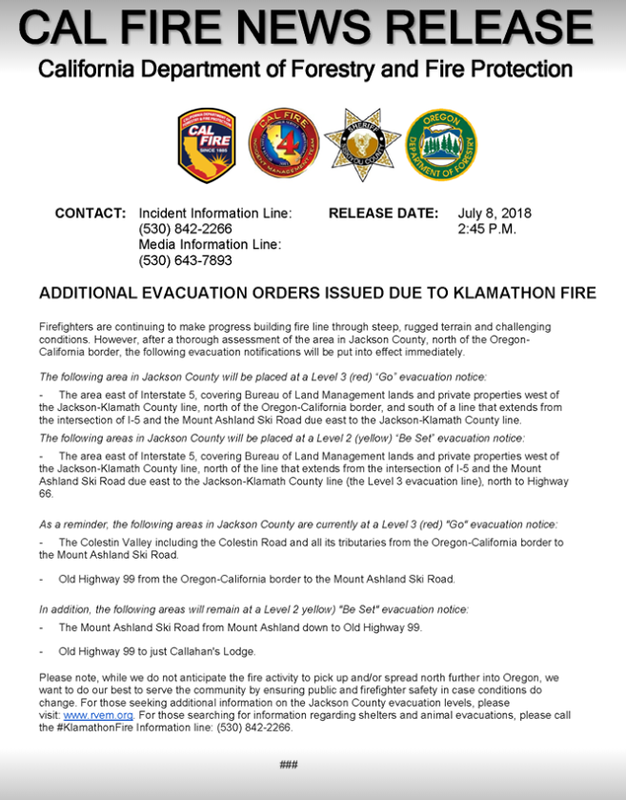 We are in contact with Cal Fire, Oregon Department of Forestry, US Forest Service and the Command Post and there continues to be no threat to the City of Ashland. 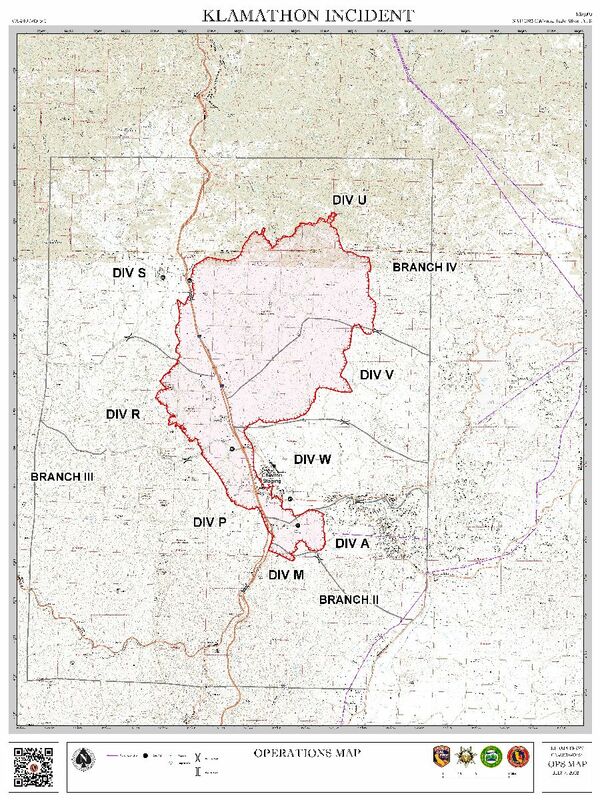 A "Level 3" (GO) evacuation has been issued for Colestin Road and all tributaries, Old Highway 99 from the California border to Mt. Ashland Ski Road and Old Highway 99 to just Callahan's Lodge. A "Level 2" (BE SET) evacuation has been issued for the Mt. Ashland Ski Road from the ski resort to Highway 99, and Highway 99 from Mt. Ashland Ski Road to the 6700-block. To stay informed locally and recieve alerts from Nixle text 97520 to 888777.